The Healthy Community Outreach Project presented a kickoff celebration in the Community Room at the Mullins apartments on Saturday, February 3, 2018. 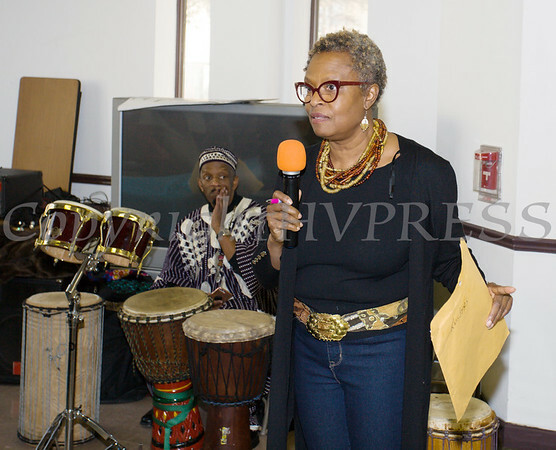 Arlette Murrain, Healthy Community Outreach Project Manager (HCOP) for Planned Parenthood Mid-Hudson Valley explains the Healthy Community Outreach Project during a kickoff celebration in the Community Room at the Mullins apartments on Saturday, February 3, 2018. Hudson Valley Press/CHUCK STEWART, JR.